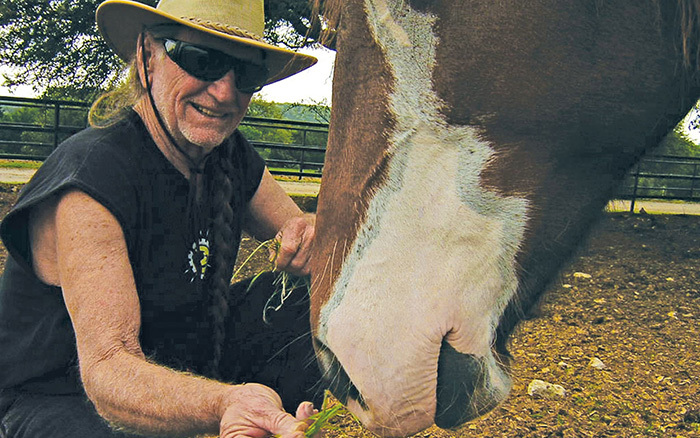 When he's not on the tour and playing music, Willie Nelson spends his time at his Texas ranch where 70 horses roam. 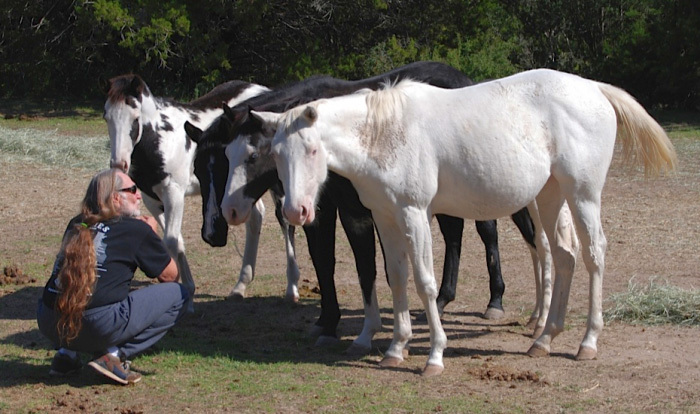 All of the horse were rescued before they could be sent to slaughterhouses. Nelson calls his ranch "Luck Ranch" and explained to KSAT 12 News, "When you're here, you're in luck, and when you're not, you're out of luck." "My horses are probably the luckiest horses in the world," Nelson added. "They get hand-fed twice a day, and they were just ready to go to slaughter is probably the last thing they remembered, so they're happy horses." The 700-acre plot is in Spicewood, TX - about 30 miles from Austin in the hill country. The horses have plenty of open space to roam. However, with 70 horses under his care, and approaching his 87th birthday, Nelson has not been able to put down the guitar just yet. "I retire after every show," Nelson said. "I say, 'That's it, I'm not goin' no more,' but then we hang out awhile and people (his band) feel like playing, and so we go play again."